Adding to our current ATV brands, BKT, DURO and DELI, RHC are pleased to announce that Maxxis and Kenda ATV tyres will now also feature in our brand portfolio. Maxxis tyres are approved as original equipment fit by a range of manufactures including: Honda, John Deere, Yamaha, Kawasaki and many more. The Maxxis range will have the key radial sizes and popular patterns such as Bighorn, Ancla and Rubicon. The Maxxis range will also feature Streetmax, an E marked pattern especially designed for road use. What’s more Maxxis ATV racing tyres will also be available to order. The Kenda range will include the popular Bearclaw pattern which has tread designs suitable for a range of tough terrains. The range available at RHC will also feature the Executioner. This aggressive traction pattern performs particularly well on muddy off road terrain where grip is imperative. For more information please look at our product pages for pictures and load and speed information. Or call your local sales office to talk to one of our internal sales Executives who will be happy to help. 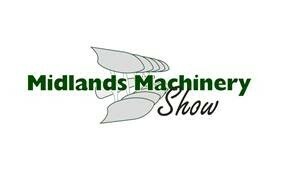 Please come and visit us at LAMMA on 8th & 9th January at the NEC Birmingham. We are in hall 11 stand 506. 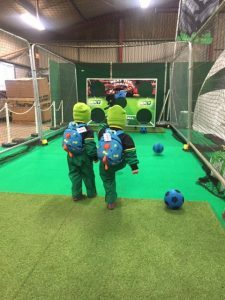 Thank you to everyone (young & not so young) who visited out stand. We look forward to seeing you all again next year. 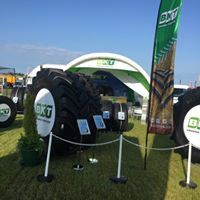 We will have a BKT stand at the Midlands Machinery Show at Newark Showground on 21st – 22nd November. We look forward to welcoming you to our stand number SS11. We are pleased to announce the arrival of Richard Stacey as the new Business Development Manager for the Midlands. 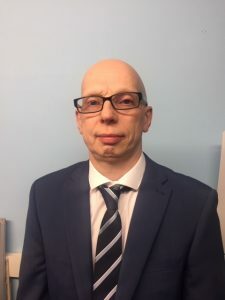 Richard brings 28 years of experience and expertise in the tyre industry, the most recent 18 years with the wholesaler Unity Tyres, and will be a strong addition to the sales team. 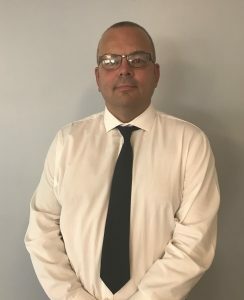 He will be delivering the complete RH Claydon supply portfolio to new and existing customers in the midlands, and his appointment signals the ongoing commitment by RH Claydon to ensure continued growth. Richard lives with his partner and three year old son in West Yorkshire and enjoys Indian food, walking and photography. RH Claydon are pleased to announce that Josh Webster has joined as Business Development Manager for the north of England. He is 46 and married with one grown up son and enjoys clay pigeon shooting when he’s not walking his four Labradors. RH Claydon Ltd are delighted to have been chosen as Kumho’s exclusive distributor of truck tyres in the UK mainland. 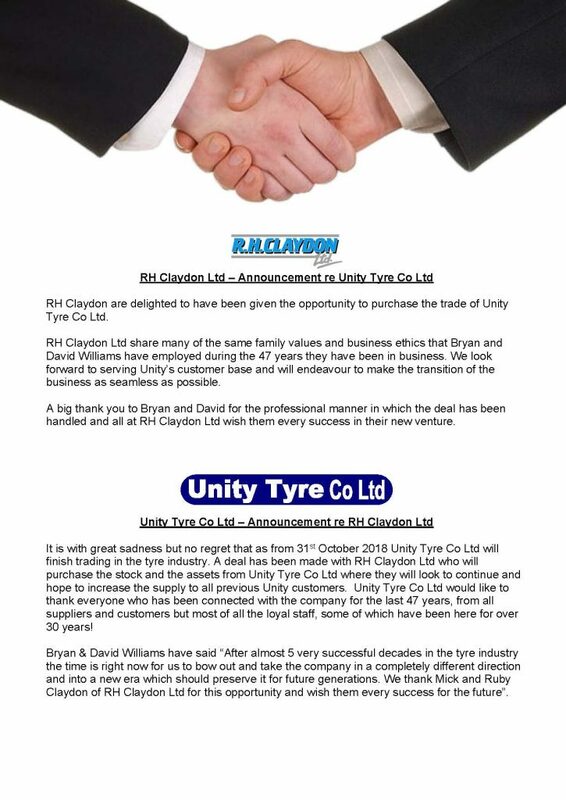 Kumho are not a new brand for RH Claydon Ltd, in fact the business relationship started in 1995 and continued until Kumho’s UK marketing strategy changed in the mid 2000’s. We are glad to have been able to renew our partnership with Kumho and together we aim to take the brand to the next level. With excellent test results the quality of the Kumho tyre is unquestioned and it represents extremely good value for money. Please contact your local sales office or Business Development Manager if you require further details on the Kumho range and pricing. 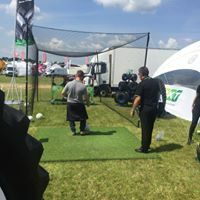 Many thanks to all the visitors who visited out stand to view the BKT tyres on show, a chat, a cup of tea or a go at our football game. It was great to see everyone and hope to see you all again next year.